And then I saw their show. On the UHF dial of the television was WKBD-TV Channel 50. During the after-school and dinner time hours, they aired shows from the past in syndication. Lost in Space. Batman. Gilligan’s Island. The Flintstones. The Addams Family. The show was fun, but it was the music that hooked me. 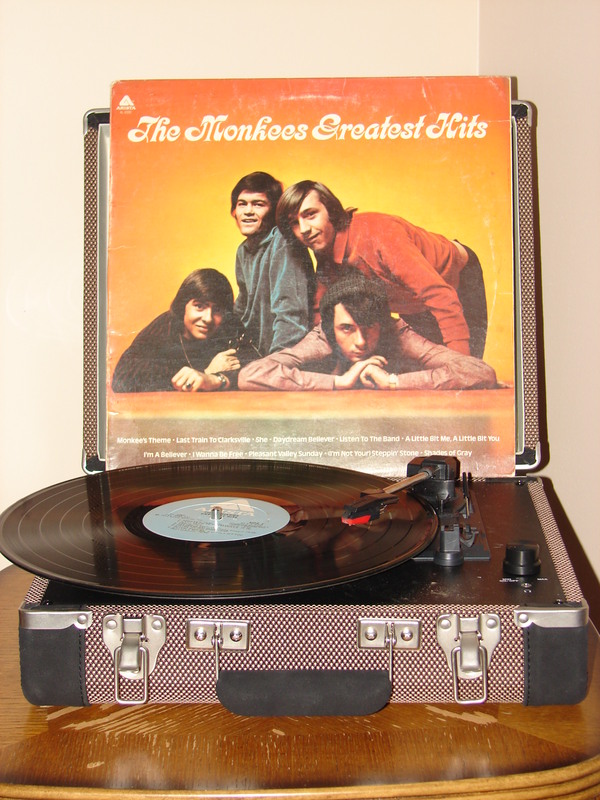 The Monkees Greatest Hits album above was, I believe, the first album I owned from a band. I know this is blasphemy to many music lovers out there, but I connected more to Davy, Mike, Micky and Peter than I did to John, Paul, George and Ringo. Yeah, I was not a very deep kid. Perhaps it was generational for me. The older kids I knew leaned toward the Beatles, but the Monkees reruns came on during my formative years. They were not a band formed by the members, but by producers in Hollywood. The first season of shows generated the more popular Monkee’s hits. It was the second season, where the boys – under Nesmith’s and Tork’s pressure – were able to have more creative influence on the music. They pushed away from having to wear uniform clothing during performances to a more individualized expression of attire. As I am writing this, one of my favorite albums, Pisces, Aquarius, Capricorn & Jones Ltd. is playing in the background. I did not have these records at the time. The only Monkees’ album I had was the greatest hits. But I wouldn’t be denied Monkees music. I would take my portable cassette tape recorder, put in a tape, placed it on the floor in front of the television set, and watched the show, poised to begin recording when a song began. Primitive, yes. Unlike burning a CD, the tape would have the character of the background sounds, such as mom washing dishes or someone coughing in the room. And any sound effects in the show that occurred during the music also came through. Something clicked in my mind with The Monkees, and still continues to this day. I best relate to music with an image or tangible experience. For quite a spell I was a fan of movie soundtracks. I’ve heard it said that The Monkees were the pioneers of the music video, which holds some truth for me. When MTV came on the scene, it was the music videos that attracted me to the music and bands I liked. In the 1980’s, I discovered that after The Monkees disbanded, Michael Nesmith continued to combine music and video in his movie, Elephant Parts. In the 1980’s, Dolenz, Jones and Tork went on tour together. They came to Pine Knob that summer, and it was the third concert I ever attended (you’ll have to wait until my next vinyl memory to learn the first two). To this day I still enjoy this quartet and their songs. We lost Davy Jones on February 29, 2012, and the remaining members toured recently to sold out venues. I recently saw on Facebook a petition for The Monkees to be inducted into the Rock and Roll Hall of Fame. My feeling is that if The Monkees aren’t in it, it’s not a Rock and Roll Hall of Fame. 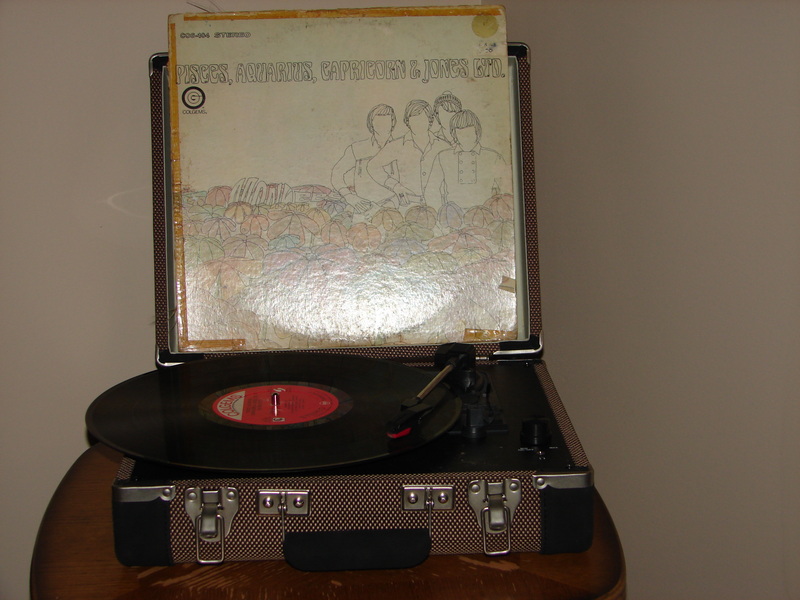 To this day, I’m still a believer in the music of The Monkees. 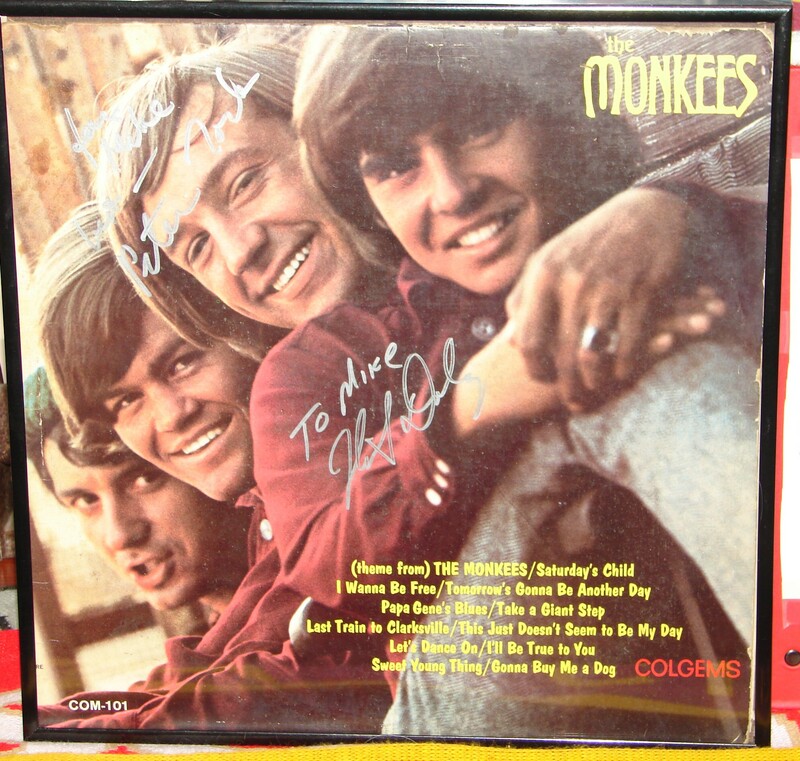 The first Monkee’s album signed by Tork and Dolenz. In the late sixties there was no such thing as “cult tv”, just a must watch show, and this was the first i remember. 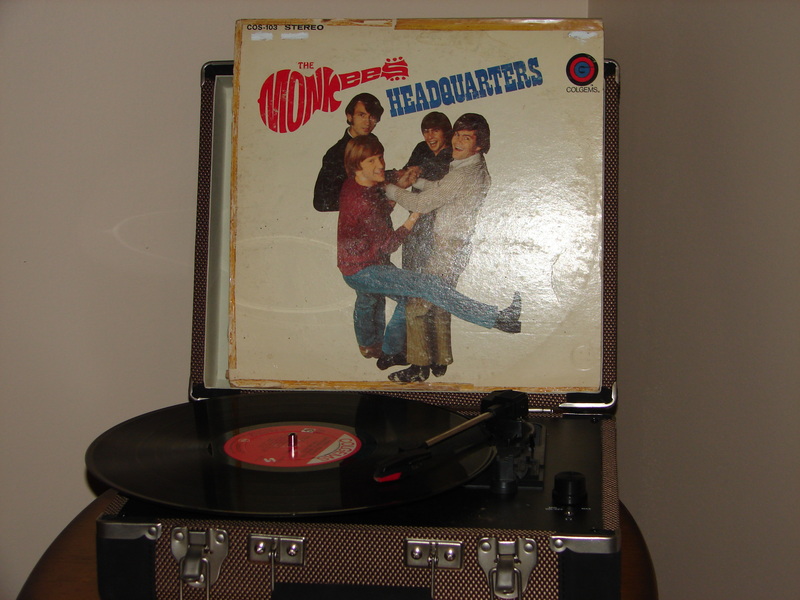 My kids now play a few Monkee numbers [albeit a bit punky] in their band over 45 years later. Thanks Emma. That’s cool. I was too young when the show first came out to enjoy it. But in syndication, it was a must-watch show for me.